Tango was rescued at 3 weeks old, but after a rough start, he never looked back! Today, Tango is InstaFamous for his unbelievable balancing skills which lead him to becoming a Pro Dog Model. Tango isn’t just all looks though, he’s also a Pro Level Dock Diving Champion and accomplished hiker competing and hiking in over 30 States! 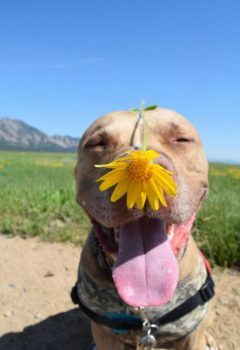 From NYC’s Fashion Runways to Colorado’s Snowy Mountains, Tango is living proof that rescue pups have no limits.